Missy Higgins' Torchlight accompanies new Australian film. Missy Higgins' new song shines a light on one of Australia's darkest moments. Australian musician Missy Higgins has released a new song to show support and shine a light on one of Australia’s darkest stories. The song, Torchlight, was written for the soon-to-released film, Don’t Tell. Don’t Tell explores the true story of a woman who took her Toowoomba school to court for the sexual abuse she suffered while under their care. The softly haunting melody of Torchlight plays just as the film closes. Higgins, 33, told Mamamia how she initially doubted whether she could create something that did those final scenes justice. “At first I was not a hundred percent confident in my ability to write a good song for the film, especially for the last song. A song that’s meant to sum up the whole film and what everyone has been thinking – there’s a lot of pressure behind that,” she said. Don&apos;t Tell is based off the experiences of Lyndal, a child sexual abuse survivor who won a case against Toowoomba Preparatory School in 2001 after she was abused in 1990. The high-profile case went on to ensure greater legal protection for children in Queensland. Higgins said she was immediately moved after hearing the story behind the film&apos;s script. "I really felt like the protagonist was so strong and so inspiring and that it was a really important story that needed to be told," she said. 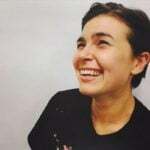 The ARIA Award winner said she wrote the lyrics from the perspective of Lyndal as an adult, as though her words could soothe her younger self. "I thought a beautiful thing to do would be to write a song from the perspective of an older Lyndal looking back at her younger self," she said. "Saying to herself what she wished someone would have said to younger her and saying how she wished she could go back." The music video for Torchlight was shot in the same town where the film and the real life incidents occurred. Higgins performs the song upon the stage of the town&apos;s historical Empire Theatre. The singer described how she was initially taken aback by the sheer presence of the building and its quirky interiors. "It’s really beautiful. It was one of those really old, grand historical buildings. You know, you’re driving through this sleepy town and all of a sudden there’s this hugely exquisite, art deco building," she said. "They’ve got these huge fish tanks in the foyer." Don&apos;t Tell, starring Sara West, Rachel Griffiths and Jack Thompson, is based off the book written by Lyndal&apos;s lawyer, Stephen Roche. Roche&apos;s book offered readers a look in at what it was like to represent a client whose landmark case is believed to have eased the path for others to come forward. Higgins told fans on Facebook she had been brought to tears watching the film at a preview screening. "I cried many, many tears (and it’s not often I cry during my own songs!) so please go and see it when it comes out. I feel incredibly honoured to have been a part of it," she wrote. The lyrics in Torchlight touch on some of the most brutal elements of Lyndal&apos;s story. But I do, I do and someone out there will too. Don&apos;t Tell will be released in Australian cinemas on May 18. 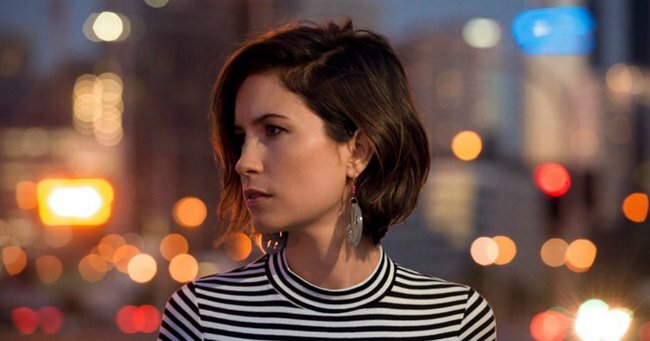 Missy Higgins is set to release a new album this year. Until then, you can listen to or purchase Torchlight here. Love films as much as you love TV? Listen to our weekly television podcast for the best in what to watch, stream and share this week.